I’ve been seeing several news reports of the Ebola outbreak in West Africa, and got to thinking about pandemics in general. Lots of people fear a global pandemic. If you had to rank a list of super scary threats, pandemic would be pretty high on the list. We’ve all seen movies like Contagion, which is scary enough. We also associate pandemic with nightmarish throngs of zombie like disease ridden creatures. But let’s pull back to reality and get some sense of what is a pandemic and whether they can happen. What is a pandemic? According to Flu.gov, a pandemic is defined as a global outbreak of disease. It’s not determined by the number of deaths, but by how quickly it spreads. Virus starts affecting various countries around the globe at the same time. This is not hard to imagine, given the speed of air travel. This would overwhelm the healthcare systems in affected countries, cause a shortage of medicines and caregivers, large scale deaths would disrupt the economy and systems. People would not be able to come to work if they are too sick or too busy caring for family members. 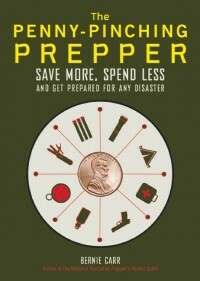 What can an average person do to be prepared? Have at least two weeks worth of stored food that does not need refrigeration. Don’t forget to store enough for kids, pets and other special diets. Increase your supplies if you have the means or the space. Store enough water for your family for at least two weeks- the recommended amount is at least one gallon per person per day. Have a power outage kit, which means backup lighting, cooking and communications, in case of power disruptions, Your car survival kit should also be fully stocked. Be aware – pay attention to the news, both mainstream and alternate sources. bleach – a good standby when in comes to disinfect surfaces. According to the Clorox website, use 2 tbsp bleach to one gallon of water, to sanitize a surface. Bleach loses its potency so always mix a fresh batch for cleaning. Exercise at least three to four days a week. Eat a healthy diet. Take vitamin supplements if you feel you don’t eat well enough. Have a plan Decide in advance under what circumstances you would start keeping kids home from school, staying home from work or creating a sick room in your house. Discuss your plan with family members and plan care giving tasks ahead of time. Wash your hands Get everyone in the family in the habit of washing their hands as they come home from public places and before eating. If you cannot wash your hands right away, use antibacterial wipes. Cover your mouth when you cough or sneeze Use tissues or a handkerchief to cover up and avoid spreading germs. Stop touching your eyes and face Once you touch something with germs, and you touch near your eyes or mouth, you can instantly catch a disease. Be aware of this and if you cannot wash your hands right away, at least keep your hands away from your face. Disinfect surfaces around you Droplets from coughing and sneezing travel several feet. These germ filled droplets can last for hours on surfaces such as paper, steel or plastic. For this reason, keep a box of antibacterial wipes and clean door knobs, light switches and other commonly touched items around you. Learn basic first aid and herbal remedies If there is a pandemic, hospital emergency rooms and doctors’ office would be overwhelmed, and also filled with contagious people. If you had a minor issue such as a cut or a cold, and can take care of it at home using first aid or over the counter remedies, you are better off avoiding these places. Recommended reading: If you are interested in finding out about the time when the Ebola virus made it all the way to Reston, VA, read The Hot Zone, a nonfiction story that is all the more scary because it really happened. 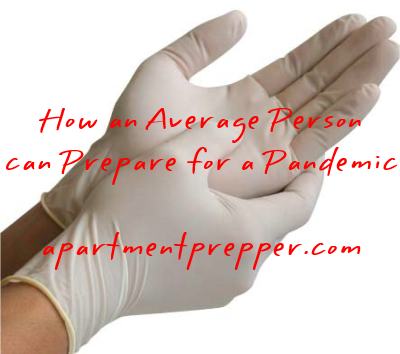 Preparing for a pandemic is similar to being prepared for other disasters. 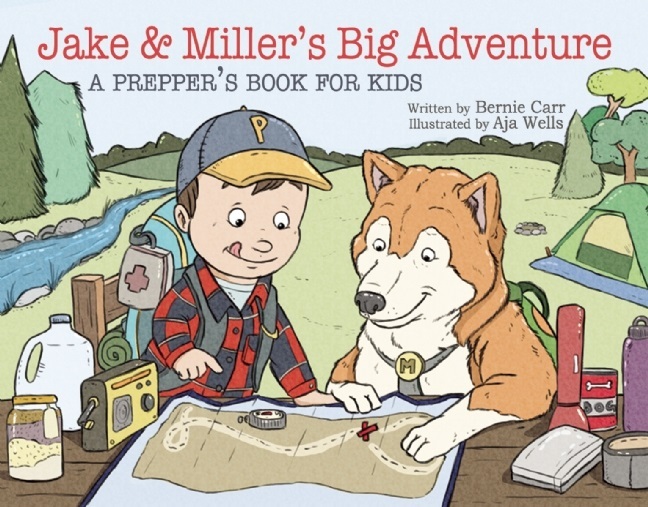 There is no need to panic or live in fear – being prepared will help you sleep better at night. Reader question: How Do you Protect your Emergency Supplies from Pests?